Hologic, Inc., a leading developer, manufacturer and supplier of premium diagnostic products, medical imaging systems and surgical products, with an emphasis on serving the healthcare needs of women, has announced the publication of three new studies supporting the use of Hologic's award-winning 3D mammography (tomosynthesis) technology in breast cancer screening. A number of studies have validated the benefits of Hologic's 3D mammography technology in screening: a simultaneous increase in cancer detection rates, for invasive cancers in particular, and a significant reduction in unnecessary patient recalls. Although the benefits of 3D mammography far outweigh the perceived risks, some potential users have expressed concern about the increased dose of a combined conventional 2D and 3D mammography exam. While the radiation dose from the combined 2D and 3D exposure is within the US guidelines for mammography, Hologic now offers customers the low dose C-View software option which generates the 2D image from the 3D mammography image slices thereby eliminating the need for a separate 2D exposure. Two studies published this month evaluated Hologic's Digital Breast Tomosynthesis using 2D images generated from the 3D mammography slices in place of conventional 2D images – a technique that would reduce the radiation dose of 3D mammography studies to the level of conventional 2D screening and shorten the patient exam time while maintaining all the clinical benefits of 3D. A third study evaluated the use of one-view versus two-view tomosynthesis. The results of a four-year prospective trial based on 24,901 screening examinations in a large hospital in Norway, "Two-View Digital Breast Tomosynthesis Screening with Synthetically Reconstructed Projection Images: Comparison with Digital Breast Tomosynthesis with Full-Field Digital Mammographic Images," evaluated the use of 2D images generated from the 3D mammography slices in place of conventional 2D images that are required as part of the Digital Breast Tomosynthesis procedure. Per Skaane, MD, PhD, Department of Radiology, Oslo University Hospital Ullevaal, and his colleagues found that the use of Hologic 3D and generated 2D images constituted an average dose reduction of 45% while not resulting in any clinically meaningful differences in diagnostic accuracy compared to 3D mammography and conventional 2D images. The study was published online in advance of print in the January 24, 2014 issue of Radiology, a scientific journal of the Radiological Society of North America (RSNA). A reader study, "Comparison of Two-dimensional Synthesized Mammograms versus Original Digital Mammograms Alone in Combination with Tomosynthesis Images," also looked at whether generated 2D images could be used in place of conventional 2D images in a 3D mammography exam. The authors in this retrospective study compared the results of eight expert readers evaluating a set of cases representing the range of lesions and normal confounders identified in clinical practice. Margarita L. Zuley, MD, Department of Radiology, Magee Women's Hospital, University of Pittsburgh Medical Center, and her colleagues concluded that generated 2D images did not result in any clinically meaningful differences in diagnostic accuracy and could be used to eliminate the need for conventional 2D mammography as part of a routine 3D mammography exam. The study was published online in advance of print in the January 21, 2014 issue of Radiology. A multi-reader study, "Diagnostic Accuracy and Recall Rates for Digital Mammography and Digital Mammography Combined with One-view and Two-view Tomosynthesis: Results of an Enriched Reader Study," found that while the addition of Hologic's one-view 3D mammography to conventional digital mammography significantly improved diagnostic accuracy and reduced the recall rate, the addition of Hologic's two-view 3D mammography provided twice the performance gain in diagnostic accuracy while further reducing unnecessary patient recalls. The researchers concluded that "an approach combining two-view 3D mammography with digital mammography should be the model adopted in clinical practice." In addition, the researchers showed that the addition of two-view 3D mammography provided significantly higher diagnostic accuracy for imaging women with dense breast tissue compared to conventional mammography. Elizabeth A. Rafferty, MD, Department of Radiology, Massachusetts General Hospital, Harvard Medical School, was lead author of this study that was published in the February 2014 issue of the American Journal of Roentgenology (AJR), the scientific journal of the American Roentgen Ray Society. 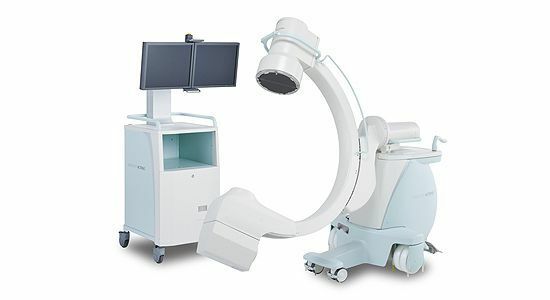 Hologic pioneered the 3D mammography imaging market with the introduction of its Selenia Dimensions 3D system in countries recognizing the CE mark in 2008 and has placed 3D mammography systems in 59 countries. In 2011 Hologic became the first, and still today the only company to have a US Food and Drug Administration approved 3D mammography system.